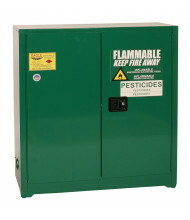 Save over 40% with our selection of pesticide safety cabinets for reliable hazardous material storage. 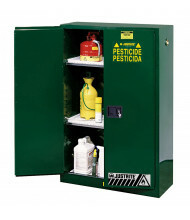 Leading brands Eagle and Justrite provide long-lasting safety cabinets at an affordable price. 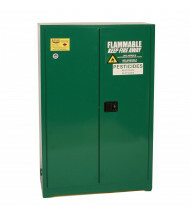 One or two door configurations available. 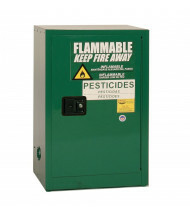 Pesticide safety cabinets hold potentially harmful substances like pesticides and poisons. 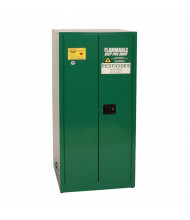 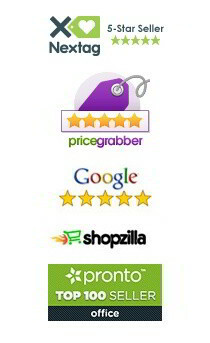 Door options include manual or self-closing; all doors are lockable for added security. 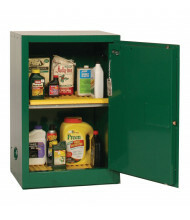 A variety of shelf options suit any organization preference. 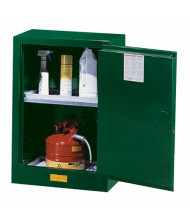 Models with polyethylene trays provide additional corrosion storage leak and spill protection. 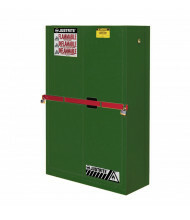 The steel bar barrier model deters lock prying.